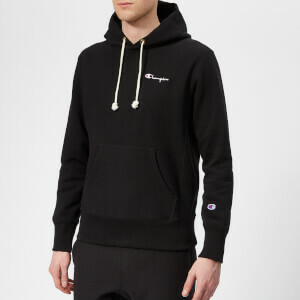 Grey marl hoodie in a cosy cotton blend from Champion. The hooded sweatshirt features adjustable drawstring ties, a front kangaroo pouch pockets and ribbed trims at the cuffs and hem. Embroidered logo detail at the chest. Fleece lining.